Los Angeles Space Monkeys Show THIS FRIDAY! | Tell 'Em Steve Dave! 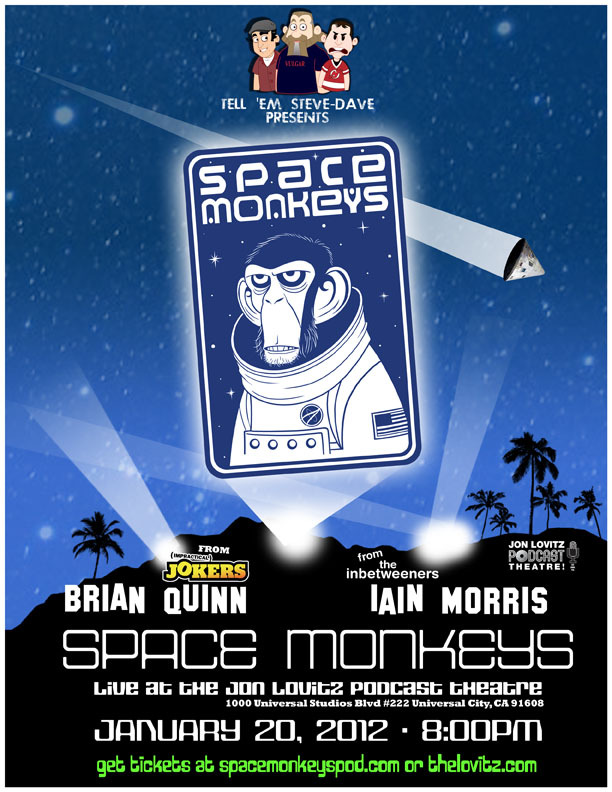 6 Responses to Los Angeles Space Monkeys Show THIS FRIDAY! Wish I lived in LA 😦 sounds AWESOME! The poster alone bums me out that i couldn’t go to cali. It looks like it will be one helluva show! Episode 99 is the best TESD ever! Like lightning in a bottle. It’s a shame that Walt wasn’t there especially with First Cousin Steve there. He was probably kicking himself. Great, great, great show. Also, Comic Book Men? Some of your customers come across as assholes, but you guys were awesome. Rob Bruce, also kind of awesome.